Martial arts have always been pretty popular, but if you look around these days there are more and more people learning a particular art. Everyone used to get excited when a new Bruce Lee movie came out and now it’s usually MMA movies. 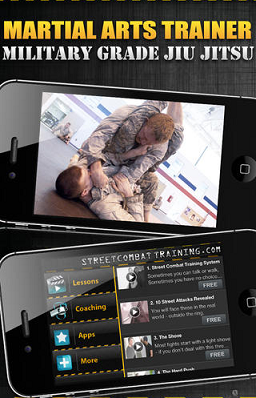 If you’re interested in learning a martial art for any reason, you wouldn’t regret downloading a few amazing apps. Take a look at some of the ones that are very popular at the moment because each one would be a great place to start. You can never be 100% safe these days unless you lock yourself away inside your home because there are too many crazy people walking about. Hopefully you never bump into them, but the Jui Streetsu app will let you learn some basic self-defense moves in case the unthinkable happens. You will even be taught how to defend yourself against someone who is waving a weapon around and the advice could easily safe your life. Mixed martial arts exploded onto the scene a few years ago and it’s been gaining popularity ever since. It’s a great way to stay fit and healthy, plus if you need somewhere to release your anger it’s better to do it in the ring as opposed to on the street. MyMMA Trainer is the perfect app for anyone starting out in the sport because it’s got hundreds of videos that will teach you all the moves you need to know if you want to reign supreme. Martial Arts Trainer is another great self-defense app and this one has been released by a professional instructor who brought Brazilian Jiu Jitsu to Canada. There are lots of detailed videos people can watch no matter how experienced they are because there is something for all levels. Spend a little time each day practicing the techniques you learn in the videos and you’ll be much more equipped to defend yourself should the need arise. 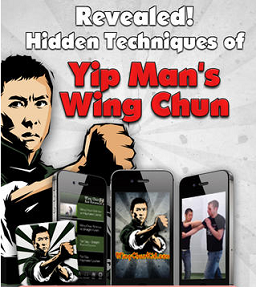 If you’re looking for a martial art that is a little more mystical and Asian you should download the Wing Chun Martial Arts app. You will be able to learn the wonderful art from the comfort of your own home. The videos you will find inside the app are also for all levels which means you can start from the beginning and work your way through them. There are also other apps in the collection if you want to move onto some of the more fancy skills. Muay Thai is definitely the ultimate fighting art and everyone will benefit from it. You will need to learn it if you want to become great at MMA, but at the same time it’s a great way to burn through thousands of calories even if you have no intention of ever fighting. The videos for the app were filmed in Thailand and each one showcases techniques from ex-champions. You will learn all the secrets behind their most powerful moves. Joseph Geller is the author of this article. He works as a sales manager at WantBuyLetBuy.com, leading providers of bumper cases for iPhone 5.Â Joseph is a MMA enthusiast and holds a black belt in Brazilian Jiu-jitsu.